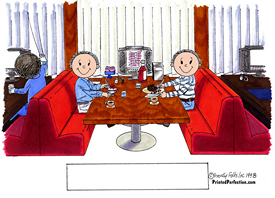 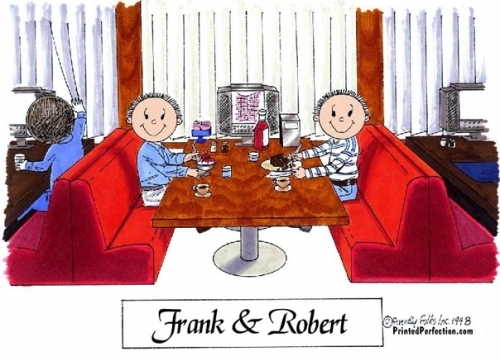 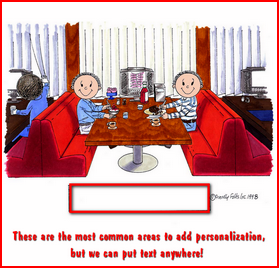 Old friends catching up, two guys hanging out in a restaurant, celebrating - Personalized Friendly Folks Cartoon, two men. 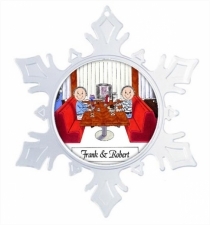 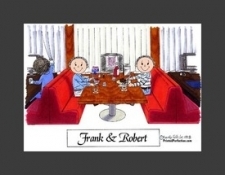 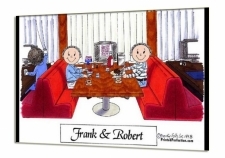 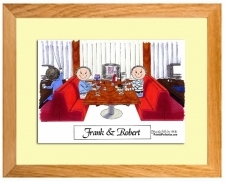 This is a very versatile Friendly Folks Caricature of two men in a restaurant. 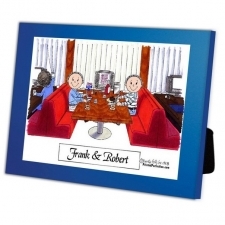 They may be best friends, or old friends catching up, or perhaps they're having a business meeting and closing a big deal - Heck, they might be cousins. 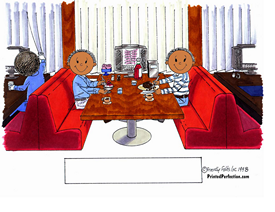 Depending on the personalization that you add, this scene could depict many different scenarios. 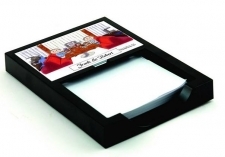 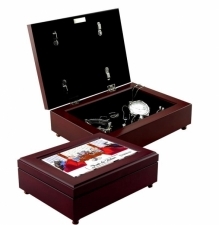 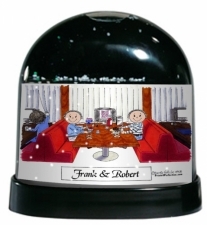 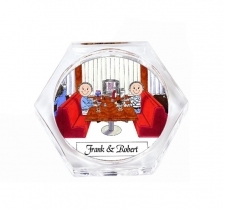 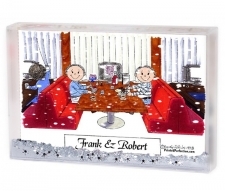 One thing for sure is that it's adorable, and once personalized for that special person, it's a gift that will quickly become a keepsake.